How to catch up on sleep? Home » Blog » Can you really catch up on lost sleep? But can you really make up for a sleep-deprived work week by sleeping in on weekends? 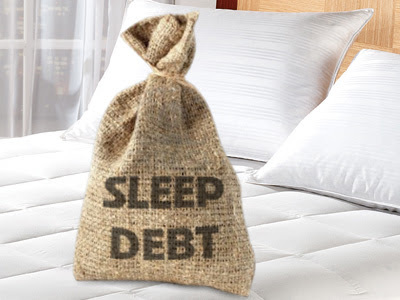 The problem is, people often think they’re catching up on sleep with a full night’s rest, but that’s like thinking you can pay off your credit card debt just by paying your monthly minimum. Sleeping in over the weekend can help you catch up on a couple of restless nights. But if you’re a chronic bad sleeper, it’s no longer a question of making up sleep. It’s a matter of getting enough sleep to begin with. But there’s hope for those who can plan ahead. If you know you’re going to have a late night, you can sleep a little longer in the days leading up to it. Just as you would prepare your body for a marathon, you can prepare your body for a big night. Naps are another great tool for getting the rest your body needs to perform. Catching up on lost sleep is essentially a short-term opportunity. If getting enough sleep is a problem you’ve been experiencing over the long term, you may be sleep deprived and want to re-evaluate your schedule or speak with a doctor about your options. We’ve also developed tools to make it easier and more affordable than ever to train yourself to get a good night’s sleep. If you want to sleep better and more efficiently, try our Sleep Improvement Kit at sleeprate.com.